A beautiful exterior but the thumbs ups end there - mainly because of the fierceness of the competition in Birmingham these days. This is listless and compared to most city centre pubs, doesn't really cut the mustard. 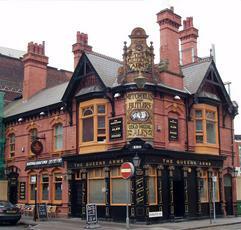 It is a staging post on the walk from the Jewellery Quarter back to th station but I'd save yourself for the Wellington. Entry in the 2017 Good Beer Guide but omitted in the 2018 Guide. Well maintained interior and exterior. Wye Valley HPA in average condition. Went in here for the first time with food in mind, but always interested in ale options. Food was hearty, sourced from quality independent producers and well presented. Enjoyed a couple of tasty pints from Froth Blowers. Friendly service and relaxed atmosphere. 10/10. Well worth a visit! Sadly a case of 'no beer in the evening' as pub was closed for a quiz (?). 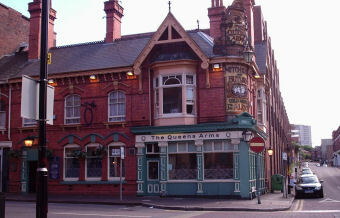 This was the only pub in the centre of Birmingham participating in 'Cask Ale Week', and closing for an evening suggests that it does not appear to be taken seriously. 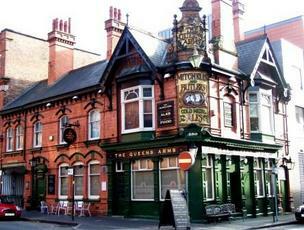 Back again and good as ever - 6 real ales and good local food. Friendly staff and attractive barmaids. Sky football too. Only downside is that it is a small pub and some tools hang around at the bar and get in the way of people but can't fault the pub for the occasional numpty visitor. Don't let it put you off though.